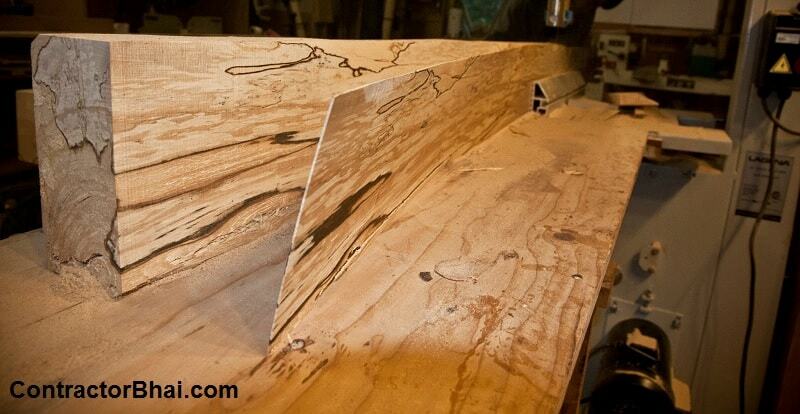 There are various types of veneer species available in India. The type of species vary mainly with geographical location and therefore weather conditions too. Like in Kerela, one will find abundant growth of Rubber trees. Therefore you have ample of veneers made of rubber manufactured in Kerala. Other than rubber trees, there are “Vatta” tree, silver tree growing in Kerala. Sitapur, Rampur and Eucalyptus trees grow in abundance in Uttar Pradesh. You therefore will have veneers manufactured of these species exported from here. 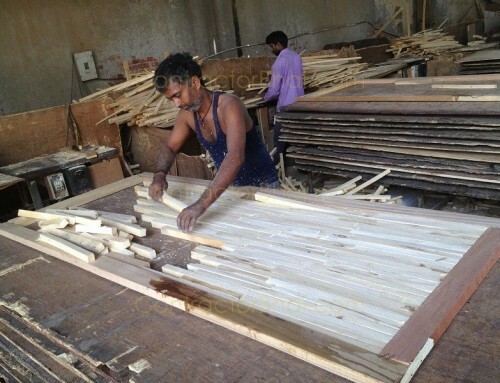 From Bihar a lot of “Simbal” veneers are exported. The weather conditions in Bihar are best suitable for tree like “simbal”. From Vishakhapatnam and Gandhidham, “Gurjan” veneer type is imported to other parts of India. In Haryana state, “Popular” specie veneer is quite prevalent. In East side i.e. Assam and Arunachal Pradesh, there are ample of Holang, Burch and Corn trees growing. You therefore will have veneers of these tress manufactured in abundance in East side of India. In 1996, Supreme Court in Assam had passed a rule against forest and wood cutting. If forest or wood cutting would have continued, India would have suffered from crucial rain water problems. And therefore since 1996, veneers made of these species i.e. that grow in East side are no more manufactured. In past when there were not many species grew in India, logs of wood were imported here. Peeling of log/block, manufacturing veneers, plywood, etc. process was carried out here in India after import of logs. Again due to strict rules and regulations, only core was imported. South of India was well known for Rubber plywood. Today the quality of rubber plywood has is degraded. You seldom will find the original, best quality rubber plywood now. Formerly, plywood made of rubber veneers were customarily used by film makers to make movie sets on temporary basis.Not only that, plywood made of rubber species was used for Government gutters and other support purpose. To be precise, rubber plywood was used for use and throw purpose. 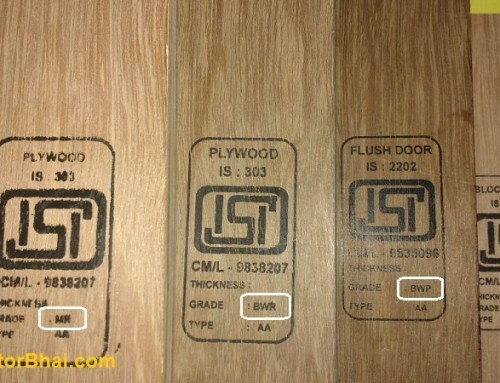 Formerly there were very limited plywood manufacturing units i.e. in Assam and Arunachal Pradesh. Therefore one need not have to worry for quality and brand name since products were pure. 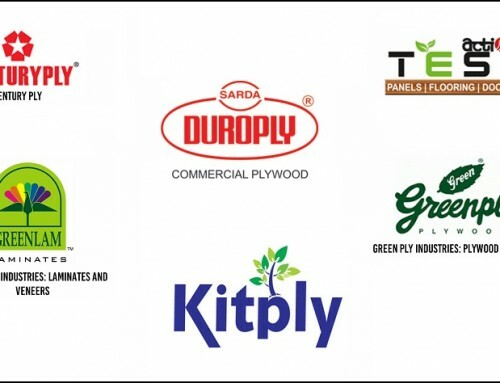 But today with several plywood manufacturing units in India, there are different types, quality and brands of plywood easily available across nation. Many a times it becomes difficult to identify 100% original veneer plywood’s and cheaper plywood’s.This is especially with Rubber plywood i.e. plywood made from rubber species veneer. Rubber plywood is something we wouldn’t suggest for home interior purpose. 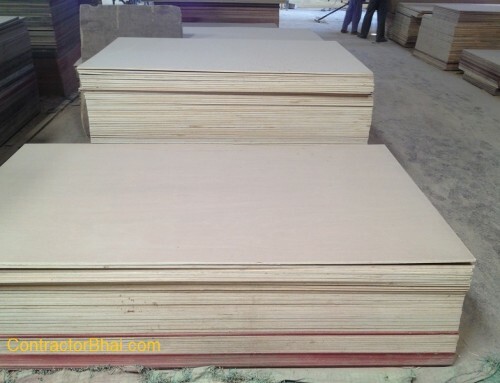 Rubber plywood is very difficult to identify among other species plywood. One therefore can easily be cheated with cheaper quality plywood. And a cheaper quality plywood will get damage and bend easily. We would suggest home owners to spend a few more penny and buy good quality products be it plywood or any other home interior product. Why save on few penny today and pay for heavy damages tomorrow. do u provide plyboards and commercial boards and other stuffs. where are you located at delhi? secondly we need good quality with reasonable price . we are at jamia nagar, new delhi, any nearby shops of yours which can be accessed easily. I am impressed to see your site . I was just trying to find out price per square ft of teak veneer. When I saw your site. Quite informative. Do you have any services in Jaipur? I am basically a botanist, so saw casually the link describing type of trees used in plywood making. Though nice write up, and commercial and common names are usually used, but sometimes errors do creep in . For example your text mentions a tree called POPULAR Being used in Haryana, in fact it is POPLAR ( Populus species). Sitapur and Rampur are areas in UP, eucalyptus is tree. Good evening Nitin Ji , i,m based in Kullu . We require plywood on a regular basis . 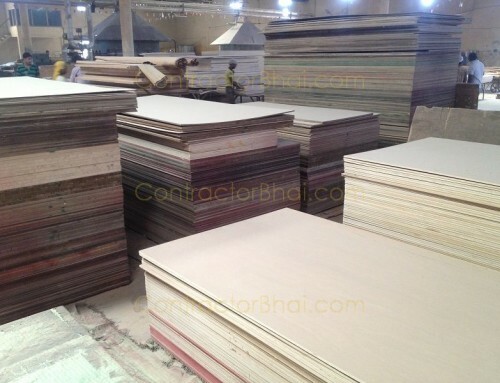 Kindly forward your rates and store details for 19 mm marine & commercial ply board . We are interested to buy directly from the manufacturer and for own end product manufacturing .